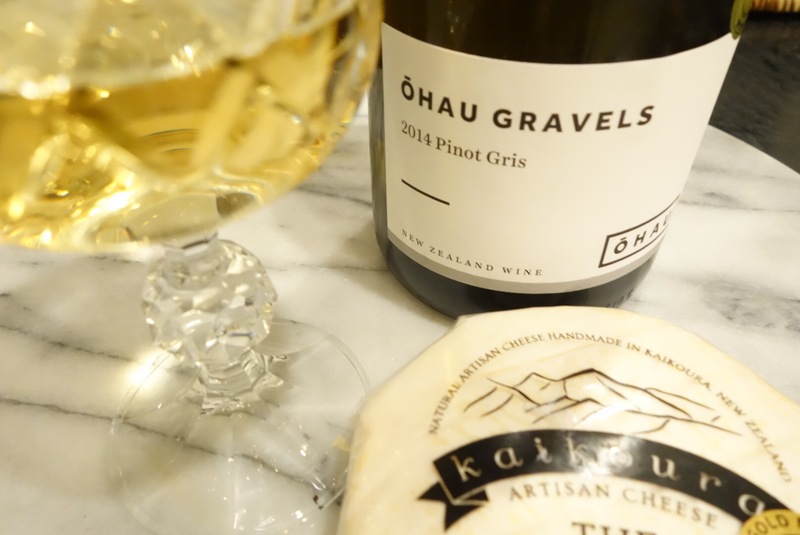 I rarely drink Pinot Gris, but Ohau Gravel‘s delicate peach blush and mouth-watering spice had me racing for a washed rind cheese. 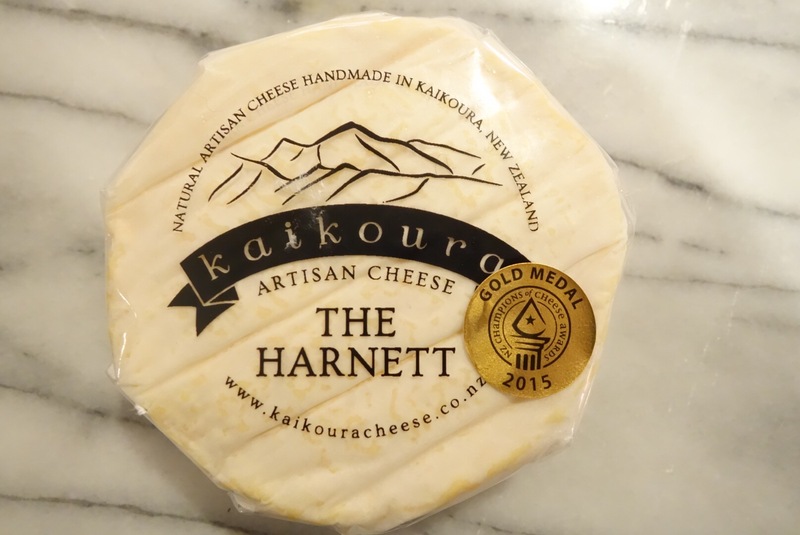 And The Harnett from Kaikoura Cheese was a perfect match. It was love at first bite. Pretty in pinkish bloom these two waltzed around my cheesey palette, perfect like Elizabeth and Darcy, like Ginger and Fred, like a sweet wine and a stinky cheese. I know sometimes you want to be dazzled by a clash – a big juicy red enveloping a hard, aged manchego. Yet sometimes it’s the subtle similarities that make a great match, think the lemony zing of a Sav all bright and sharp and shiny with a Goat’s cheese. So for these two beauties it was their generous roundness, sweet lush stone fruits dancing with soft sugars, deepening in spice and earthiness, that kept them interesting without getting lost in their joyful turns. 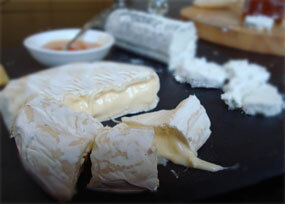 This is the second of Kaikoura’s cheeses to sweep me off my feet. 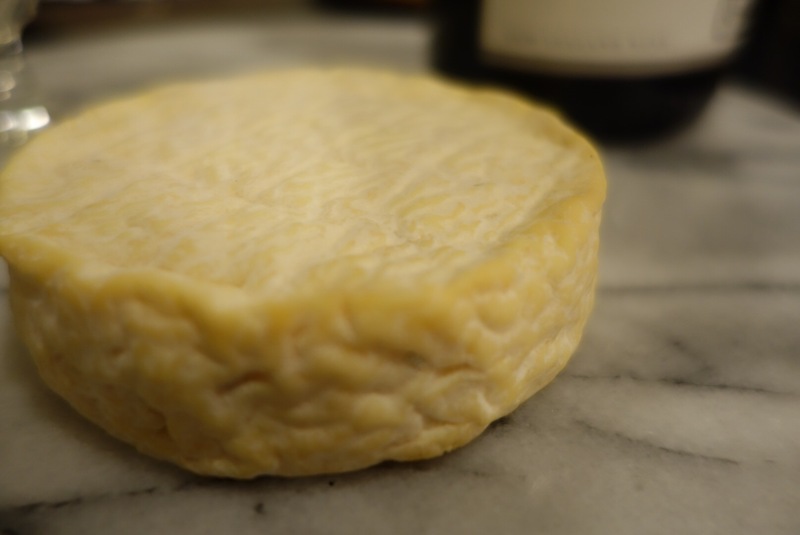 Over summer it was Tenara that held my sway, and now as the chill of winter creeps in The Harnett, their Jersey cow milk, washed rind that has me besotted. 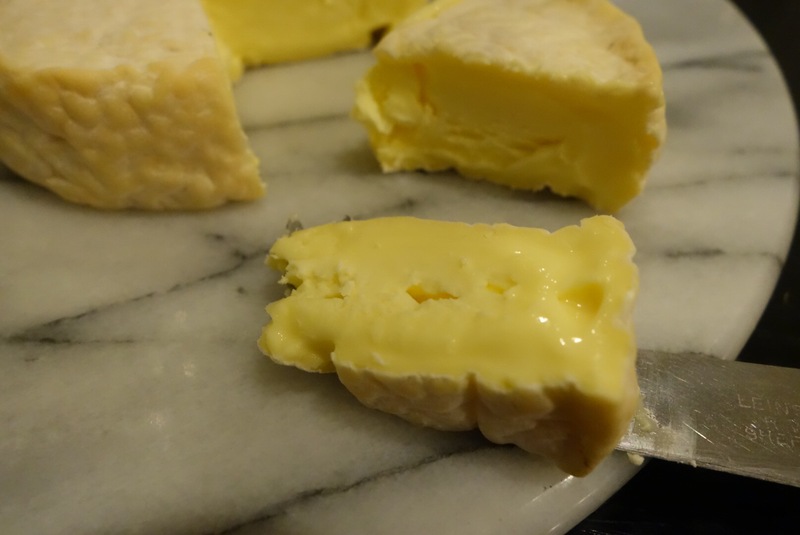 Like Tenara, this is a gold medal cheese with a wrinkly soft exterior, glossy as it ages beautifully from the outside in. I’m impressed by Kaikoura’s attention to detail and love that their packaging allows their delicate cheeses to age naturally. Pick them up gently and give them a good sniff, you should find lovely earthy smells, these darlings are alive and worth a good whirl around with a glass of something good. Previous Previous post: Liptauer – where have you been all my life?